When it comes to local businesses that are small to medium sizes, working together with the community is always a great chance to get to know your customers, as well as gain a little humility in how your business is run. A business that sees its local community as an opportunity to help change lives and make a difference is a better business model than a company that only sees a profit. 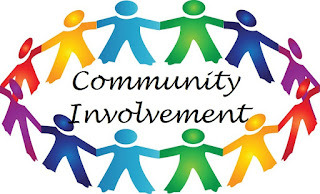 Some of the best local businesses work together with their local community in various local projects that aim to raise awareness of local issues, help local citizens to make the community better and work with the local council and government schemes to support other local businesses to work together and succeed. We all know that local businesses are a hugely important factor in small communities, often keeping the community together with a small grocery store, a post office or a community centre, so reaching out into the community is a great way to meet your fellow locals, your existing customers and see any opportunities you can get your business trusted and respected by the local community. One of the best ways to get repeat business is to gain the trust and the support of your local community. Always look for opportunities to do good for your community and the locals will respect your more for it. It has to be genuine, and when you are living and working in a small community, you will understand the needs and values of that community much better. Don’t see your rivals in a small community as cutthroat and out to take you out of business. Most often in a smaller community you will see businesses working together, as the success of a local community often hinges on the success of the local businesses. Less business being done means fewer options for the locals who live there, and there are fewer chances of other businesses coming into the community to launch their own products and services. Many local businesses work with local schools and education systems to support them in their roles as education providers, as well as the local students when helping out with internships and even work placement schemes for underprivileged students and adults in the community. This is a great way to work with local authorities to ensure that the standards of education are raised, and that there are proven opportunities for local individuals to succeed in the community, ensuring that the community can grow into a vital source of sustainable work, business and customers. Getting involved with local sporting organisations is another great way for local businesses to reach out into the community to support local groups, as well as gain a little advertising space whilst doing so. Business Plaza offers some of the best inter-community sponsorship opportunities for local businesses to help their community and gain the respect and trust of the local people, to help businesses, people, workers and the community as a whole succeed.